conversion therapy" or "reparative therapy,” which is intended to “fix” their sexual orientation. There is a movement to stop the abuse and ban gay conversion therapy in the states, with 13 states doing so. Religious organizations and individuals are lobbying to obtain statutory rights to overcome any bans on gay conversion therapy. "Gay conversion therapy is more than just a "South Park" episode. The controversial practice – which uses emotionally abusive, often extreme methods to "cure" people of their homosexuality – has been a subject for comedic fodder in the ribald animated series, as well the 2000 film satire "But I'm a Cheerleader." "
"Liberty Counsel, a right-wing Christian nonprofit organization, has filed a lawsuit against Palm Beach County and the city of Boca Raton for their bans on underage conversion therapy. The lawsuit, brought on behalf of two marriage and family therapists in South Florida, argues that the ban violates the free speech rights of Dr. Robert Otto, Dr. Julie Hamilton, and their clients." "As much as it is a competition to find America’s next drag superstar, RuPaul’s Drag Race is a showcase of the human ability to endure and overcome painful hardship, from bullying and drug addiction to being abandoned at a bus stop by a parent as a child. But even by the show’s standards, Dusty Ray Bottom’s revelation that her family forced her to undergo an exorcism in an attempt to turn her straight was particularly shocking." I Was Tortured in Gay Conversion Therapy. And It's Still Legal in 41 States. "In the early 2000s, when I was a middle schooler in Florida, I was subjected to a trauma that was meant to erase my existence as a newly out bisexual. My parents were Southern Baptist missionaries who believed that the dangerous and discredited practice of conversion therapy could “cure” my sexuality." 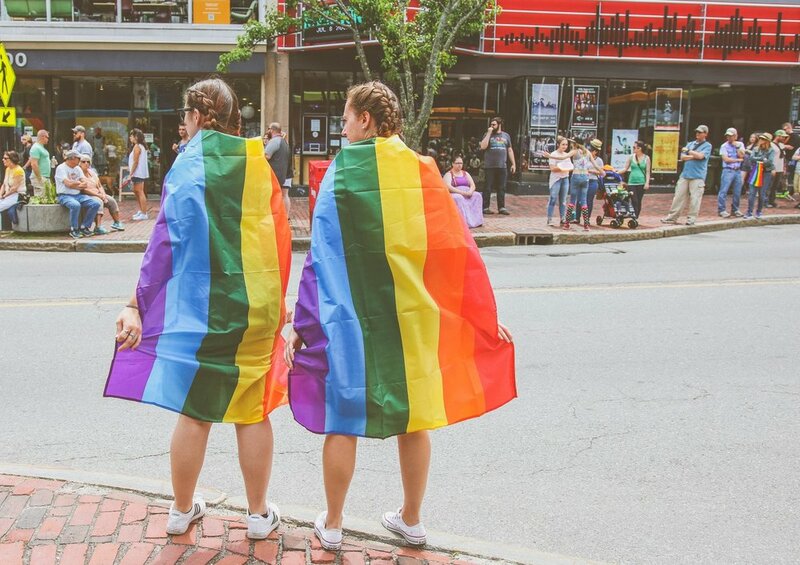 "The Massachusetts House has overwhelmingly approved a bill that would ban so-called "gay conversion therapy" for minors. The bill passed on a 137-14 vote Wednesday." "The Washington Legislature has passed a bill to ban licensed therapists from trying to change a minor's sexual orientation. The Senate agreed on changes made in the House to Senate Bill 5722 and passed it on a 33-16 vote Saturday. It now heads to Gov. Jay Inslee for his signature."